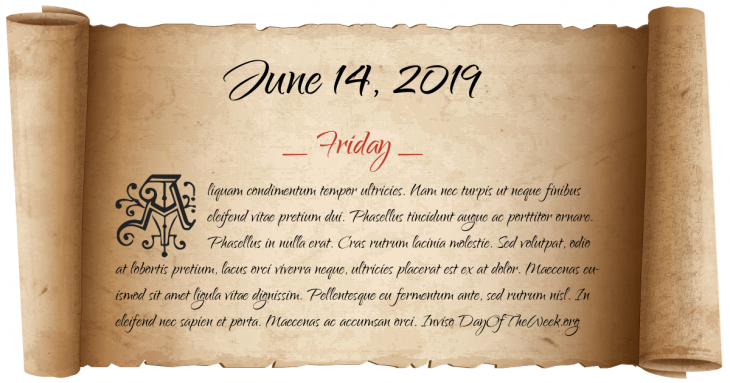 What Day Of The Week Is June 14, 2019? Here’s the June 2019 calendar. You can also browse the full year monthly 2019 calendar.